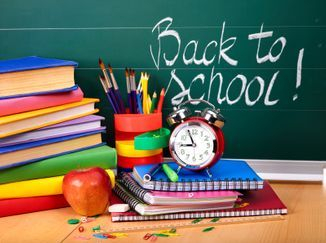 Welcome to a new school year! I always get so excited for the first week of school. The smell of freshly sharpened pencils, the smiles on the students faces, and the newly decorated classrooms are just a few of my favorite things about the end of August! This year is destined to be a great one, as we have so many wonderful young learners in our classroom. I am so excited to get to know all of you and your children as our year progresses. This website is a tool primarily for the families of the 3B classroom at Our Lady Queen of Peace. Within the website you can find current and previous classroom newsletters, classroom pictures, student-friendly websites and apps, and upcoming events. I will be updating the weekly newsletter page every week, so many sure to visit weekly. There is a lot to do and see on this page, so have fun!